COUNSELLING - Psychotherapy, NLP, Coaching, EFT, Hypnosis, Counselling, Hypnotherapy Grantham, Newark, Sleaford, Nottingham, Lincoln, Melton Mowbray, Stamford. Counselling in Grantham, also offering psychotherapy, coaching, hypnotherapy, meditation, hypnosis, stress management with CBT, Emotional Freedom Techniques EFT, NLP. Counselling in Nottingham, Lincoln, Lincolnshire, Stamford, Melton Mowbray, Newark-in-Trent, Grantham, Peterborough, Leicestershire, and Nottinghamshire . 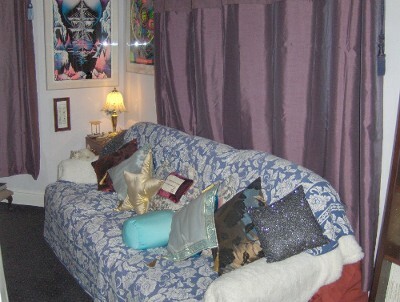 Welcome to the Elevated Therapy Clinic of Hypnotherapy and Holistic Practices from the centre of Grantham. Elevated Therapy International. Lincoln is less than 30 miles from Grantham and takes around 40 minutes by road along the A46 and A1. There is also a good bus service and train service to Grantham Bus Station and Grantham Railway station. Dr. Michael Millett is very happy to be meeting more and more people as new clients from Lincoln and the county of Lincolnshire since his relocation to the area from London in 2011/2012. Dr. Michael G Millett is a qualified Hypnotherapist and Psychotherapist and Life Coach who has the ability to change your life in a very relaxing and professional environment. This gives him an edge when it comes to helping you to change for the better. Michael deals with a variety of symptoms that any one of us could fall victim to at any time in our lives. His main focus is to get to the bottom of what is behind the stress, anxiety, and blocks you have and the affect it has on your body, and mind, causing everything from the formation of habits, fears and phobias to difficult nervous disorders. Michael has helped many people overcome issues which affect mind and body with the use of Hypnotherapy Lincoln and other forms of therapeutic intervention, His in-depth training allows him to deal with deeply rooted problems such as depression, panic / anxiety attacks, obsessions, compulsions and phobias. He also offers professional clinical hypnosis Lincoln for weight reduction, the management and reduction of stress and anxiety, developing confidence, improving relationships, getting past addictions like smoking and drug use. Michael also works on a 1+1 basis with the negative emotions, and the limiting beliefs that may be holding you back in life and preventing you from reaching your full potential. Michael is very skilled and experienced in a variety of other therapies, so do have a look throughout the Elevated Therapy website (link below) for more information. Is it time to change something in your life for the better? Take Control of your life with the professional help of hypnotherapy in Lincoln and other forms of positive therapy that work ! Michael relocated to Grantham in December 2011 from London after more than 17 years in successful private practice there. He has been a qualified hypnotherapist since 1995 and today is also a supervising and teaching hypnotherapist. He is located in Dudley Road, Grantham, 5 mins walk from Grantham`s Town Centre. There is free parking on the street and off-street parking is available as well for your convenience. Clients with mobility difficulties can be seen easily. Michael knows he can help you today, so consider contacting him now by telephone or email and you can discuss the next step in moving forward. All calls are totally confidential. Hypnotherapy Lincoln. Hypnotherapy in Lincoln. Hypnotherapy Lincolnshire. Hypnotherapy in Lincolnshire. Lincoln Hypnotherapy. Hypnosis Lincoln. Hypnotherapist Lincoln. Hypnosis in Lincoln. Hypnotherapist in Lincoln. Hypnotherapy in Grantham that works ! Dr. Michael G Millett`s aim is to help you help yourself feel empowered, so you can achieve a real sense of being able to deal with life’s situations effectively and with a renewed sense of belief in your abilities and what you are capable of. Michael is a qualified hypnotherapist since 1995, he established his private practice in the heart of London, Elevated Therapy International ® – which developed into one of the most respected hypnotherapy practices in the country for all people that are serious in getting beyond their problems and issues and reach their full potential. Michael also worked for a while in Harley Street, London W1 and at the Replingham Clinic in Southfields, London SW18. He is now a supervising hypnotherapist as well as being a professional hypnotherapy practitioner in Grantham and very experienced over many years and with all issues and then some. Michael Millett relocated the full Elevated Therapy practice to the centre of Grantham in Lincolnshire in November, 2011 – bringing his experience, specialities and expertise gained through the years back to the `local` people of the East Midlands. He originally grew up in Nottingham. A very large part of his practice clients are recommendations from previous and present clients and through direct referrals from other therapists and medical professionals going back through the years. He is delighted to be seeing more and more discerning clients from Grantham and the surrounding areas. Michael`s best talent was described as unlocking and dealing with destructive subconscious states that lead to physical and emotional pain. His hypnotherapy worked so deeply and was combined with such pragmatic advice. (London News). Michael was included in the London Paper` exhaustively researched list as an alternative health expert and one of London`s Top 50 Wellbeing Gurus. He continues to help people change their lives in the most positive way and in the shortest possible time. Here at the Grantham Clinic of Hypnotherapy and Holistic Practices, you can be certain you are in the best professional hands, with a relaxed environment and a very welcoming and friendly atmosphere. Michael provides a comfortable waiting lounge and a range of options for payment from cash to all debit and credit cards and there is ample free parking off street and near the clinic on Dudley Road. His prices are comparable with other practitioners in the East Midlands. He takes appointments 7 days per week and has two late evenings per week. Michael always has a fresh, enthusiastic approach to every session because he knows your success is very important to you and he wants you to become the person you want to be. Michael looks forward to hearing from you soon. Hypnotherapist Grantham. Hypnotherapist in Grantham. Hypnotherapists Grantham. Hypnotist Grantham. Hypnotherapy in Grantham. Grantham Hypnosis. Grantham Hypnotherapy. Welcome to the Elevated Therapy Quit Smoking with Hypnotherapy Clinic from the centre of Grantham in Dudley Road serving all of the county of Lincolnshire and beyond. My success rate for this one session STOP SMOKING programme is very high – being at least 90% ! The main difficulty for smokers that want to quit smoking is that they consciously know all the reasons for giving up smoking, and may even have a smoking related illness, but something keeps telling them that smoking is O.K. or that they can`t give up … or they will do it some time. This inner voice comes from the unconscious part of the mind, which has been programmed over the years as a smoker. By using hypnosis to quit the habit, we can re-educate the unconscious part of the mind about smoking, changing that continuous programme that all smokers are running. Freeing the person from the expense, the health risks, the anti-social nature, and the effects it is having on the individuals life and others. Once both the unconscious and conscious parts of the mind are working together, a person finds it easier to give up smoking and can live a happy and healthier life. Dr. Michael Millett is delighted to be welcoming more new clients from all walks of life and from all over the county of Lincolnshire and the East Midlands since his relocation to the county from London in 2011 / 2012. Michael relocated to Grantham in December 2011 after more than 17 years in successful private practice in London. Michael is a qualified hypnotherapist since 1995, and is interested in helping discerning people that are serious in getting beyond smoking to live a HAPPIER and LONGER life. Main Elevated Therapy (Stop Smoking Area) website for lots of information and advice, fees and to make an appointment TO QUIT THE HABIT FOR GOOD. Quit smoking with hypnosis Grantham. Stop smoking Grantham. Quit smoking Grantham. Grantham Hypnotherapy to stop smoking. stop smoking hypnotherapy Grantham. quit smoking hypnotherapy Grantham. Expert help in Lincolnshire to quit smoking using hypnotherapy. smoking cessation grantham. stop smoking clinic Grantham. stop smoking Stamford. stop smoking Newark. stop smoking Bingham. stop smoking sleaford. stop smoking lincolnshire. specialist stop smoking centre grantham. quit smoking using hypnotherapy in grantham. quit smoking using hypnotherapy in newark. quit smoking using hypnotherapy in Bingham. quit smoking using hypnotherapy in Sleaford. Hypnosis Sleaford. Hypnotherapy in Sleaford. Hypnotherapy Sleaford – Grantham is only about 13 miles (21 km) south-west of Sleaford and takes about 25 minutes drive by road along the A15 and A52. Dr. Michael Millett is delighted to be meeting and welcoming more new clients from Sleaford and the surrounding areas of Lincolnshire to Grantham since his relocation to the area. Michael uses a powerful combination of hypnosis and other therapies for the individual and takes a complete tailored and personal approach to helping you. You are always in control. His work over many years has enabled a large number of people to reduce weight, overcome fears and phobias, manage and reduce stress and anxiety, gain confidence, have better relationships, overcome addictions such as smoking and let go of negative emotions and limiting beliefs. This allows people to reach their full potential. Is there something you want to change for the better? Take Control of your life with the professional help of hypnotherapy and other ways of working. Using a combination of techniques including Hypnosis, NLP, and EFT – Dr. Michael G Millett can assist you to make those positive life changes that you want and need. Michael relocated to Grantham in December 2011 after more than 17 years in successful private practice in London. 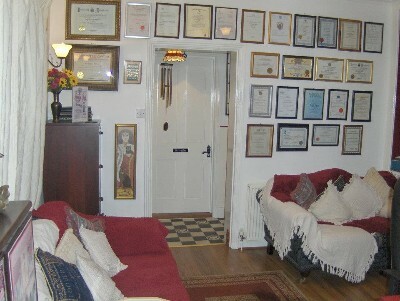 Michael is a qualified hypnotherapist since 1995 and now a supervising hypnotherapist. He is interested in helping all people that are serious in wanting to get beyond their problems and issues and desire to reach their full potential. Located in Dudley Road, Grantham, close to Grantham Town Centre. There is free parking on the street and off-street parking too. If you think Michael can help, please contact him by phone or email and you can discuss the next step. Hypnosis Sleaford. Hypnotherapist Sleaford. Hypnosis in Sleaford. Hypnotherapy in Sleaford. Sleaford Hypnosis. Sleaford Hypnotherapy. Hypnotherapist in Sleaford. Hypnosis Melton Mowbray. Hypnotherapy in Melton Mowbray. Hypnotherapy Melton Mowbray – Grantham is only about 14 miles from Melton Mowbray and takes about 25 minutes along the A607. Dr. Michael Millett is delighted to be welcoming more new clients from Melton Mowbray and the Leicestershire area to Grantham since his relocation to the area. Are you suffering from Stress and Anxiety? Is something outside of your control? Is there something that you cant do or find difficult and wish you could do more easily? Do you wish you had more confidence in yourself and your abilities? Is there something you want to change for the better? Using a combination of techniques including Hypnosis, NLP, and EFT – Dr. Michael G Millett can assist you to make those positive life changes. Michael brings a highly professional, friendly, results-focused approach to any problem where psychological or emotional factors are at the core of it. Typical subjects include stress, anxiety, depression, panic attacks, nervous problems, fears and phobias, habits, weight problems, stop smoking, confidence and relationship difficulties. If you think I can help, please contact me by phone or email and we can discuss the next step. Hypnosis Melton Mowbray. Hypnotherapist Melton Mowbray. Hypnosis in Melton Mowbray. Hypnotherapy in Melton Mowbray. Melton Mowbray Hypnosis. Melton Mowbray Hypnotherapy. Phobias Hypnotherapy Grantham. Hypnotherapy Treatments for Fears and Phobias Grantham. Many people seek hypnotherapy to help them with irrational fears and phobias which can really curtail the quality of life. Hypnotherapy has an excellent and proven track record at successfully treating phobias. Phobias Hypnotherapy Grantham treatment for phobias is methodical and effective. Firstly you will learn and practice an effective relaxation or anti-anxiety technique from the world of “Energy Therapy”. Secondly Michael will introduce you to hypnosis and self-hypnosis and begin to build confidence and a greater sense of control for you. Finally, and most importantly, he’ll systematically ‘desensitise’ you to those fears by having you imagine being in those situations while under hypnosis and practicing deep relaxation as you rehearse those situations in your mind and imagination. By repeatedly imagining yourself in those situations (mind mapping) while he instructs you to relax builds a new automatic normal response to the fear. Systematic desensitization has a long history of effectiveness in clinical studies. It is a type of behavioural therapy used in the field of psychology to help effectively overcome phobias and other anxiety disorders and combined with hypnosis achieves better and permanent results more rapidly. Single session fast phobia cures are not always the best approach to this subject for clients nor always long-lasting. While much can be achieved in one or two sessions, usually 3-5 sessions are needed to ensure that you are permanently free from the phobia. Agoraphobia: The term agoraphobia has been widely misunderstood. It is really having the fear of having panicky feelings or a fear of having a panic attack and not receiving help or where it would be difficult or embarrassing to escape to a safe place or person. Claustrophobia: an irrational fear of having no escape or being closed-in, such as a small room or a plane. the street and off-street parking too. Visit the main Elevated Therapy website from Grantham: https://elevatedtherapy.org.uk/ for more information. Hypnosis Phobias Grantham. Hypnotherapy for Phobias Grantham. Hypnotherapy for Phobias in Grantham. Social Phobias Help Grantham. Social Phobias Grantham. Phobias Grantham. Psychotherapy in Grantham, Newark, Barrowby, and throughout Lincolnshire. If you are considering psychotherapy in Grantham, consider seeing Dr. Michael G Millett in Dudley Road in Grantham`s Town Centre. He has been working to emotionally support and counsel people with emotional distress since 1995. Michael`s counselling work is with adults and children of all ages, individuals, with families, and in couple and group therapy. Dr. Michael Millett is passionate about empowering people through Psychotherapy Grantham, and helping them reach their full potential. His first concern is to establish trust, and from here he works to understand what’s happening for you, and supports you in changing it. Initially most people come to Therapy for brief periods to discuss and work through a current concern. All clients start with a short commitment (which is flexible and usually lasts over 4 to 6 weeks), towards the end of which Michael reviews with you what you need at that point and decides with you whether to continue or have a final session. Some things may take longer to understand, work through or change. Unlike other short term therapies – Michael`s clients have the opportunity to stay for longer periods to work more deeply. Psychotherapist Grantham. Psychotherapist in Grantham. Grantham Psychotherapy. Grantham Psychotherapist. Individual and Couples Counselling in Grantham, Barrowby, Londonthorpe Area of Lincolnshire. If you are considering counselling in Grantham or therapy for yourself, you and your partner as a couple or have other concerns, consider seeing Dr. Michael G Millett in Dudley Road, Grantham. Going to counselling is a positive step forward in taking care of yourself, addressing issues responsibly and rebuilding self-confidence and self esteem. It can lower your stress levels, help manage anxiety, overcome depression and resolve emotional difficulties. It can also improve relationships with partner, family and friends. Below are a few points about my counselling service, which will help you decide if what I offer will be appropriate for you with Counselling Grantham. Professional and ethical practice based on confidentiality and respect. Anti-discriminatory practice. My service is open to all, irrespective of race, gender, faith, age, physical impairment or sexual orientation. Nearly 20 years working as counsellor and supervisor and accredited member of the main professional bodies. Individual psychological therapy matched to your circumstances. Help with troubled relationships, either as a couple or an individual. Help with dealing with panic attacks, phobias, stress and other issues. My fees are £60 for individuals and couples. Counselling in Grantham. Grantham Counsellor. Couples Counselling Grantham. Relationship Counselling in Grantham. Grantham Counselling. Dr. Michael G Millett is a Senior Clinical Hypnotherapist and Hypnotherapy Superviser specialising in the treatment of stopping smoking, stress, anxiety disorders, addictions and negative patterns. DO YOU WANT TO GIVE UP SMOKING ? Michael currently sees clients for Hypnotherapy from Nottingham and West Bridgford and all over the East Midlands at the Clinic of Hypnotherapy and Holistic Practices in the centre of Grantham. You can book an appointment for a morning, afternoon, evening or weekend – whenever best suits your lifestyle. Michael holds a `Senior Qualification in Hypnotherapy Practice` with the General Hypnotherapy Standards Council (GHSC) and the General Hypnotherapy Register (GHR). He is also registered with the Complementary and Natural Healthcare Council. The CNHC is recognised as the hallmark of quality for the sector in the UK. He is situated less than 45 minutes by car from Nottingham`s City Centre along the A52. He relocated from London to Grantham in December 2011 after being in successful private practice in the heart of London for more than 17 years. Do you want to have more energy and improve your health? Do you want to avoid the potential of serious illness like cancer and heart-disease? Have you tried many times to quit but have been unsuccessful? Do you want to feel free and in control? Do you want to live a longer and happier life? It`s true that giving up smoking isn’t easy, but Michael`s work in this area has produced many, many permanent non-smokers with the help of Hypnosis, NLP and EFT to help you quit smoking for good, even if you’ve been a heavy smoker for many years. With his effective, “One Session Smoking Cessation Programme” it is possible to move on and be free from smoking for good. There has never been a better time to quit. YOU CAN DO IT… YOU DESERVE A BETTER LIFE! It is YOUR Decision To Make Now! Life Coaching Nottingham. Life Coaching Nottinghamshire. Life Coaching Lincoln. Life Coaching Lincolnshire. Dr. Michael Millett is delighted to be welcoming more new coaching clients from all walks of life and from all over the East Midlands since his relocation to the area from London a while ago. Life coaching aims to help you achieve clarity and confidence to work through issues that are holding you back from `living your life` successfully on YOUR terms ! Daytime or evening appointments available 7 days per week. Skype and Telephone Sessions 7 days per week. Michael`s skills are about knowing the right questions to ask and having the right tools and techniques to empower you to find those answers for yourself. He helps you connect your head and your heart in a way that transforms dreams into action. Life Coaching Nottingham. Life Coaching Lincoln. Life Coaching Grantham. Life Coaching Boston. Life Coaching Spalding. Life Coaching Stamford. Life Coaching Gainsborough. Life Coaching Skegness. Life Coaching Louth. Life Coaching Sleaford. Life Coaching Market Deeping. Life Coaching Mablethorpe. Life Coaching Bourne. Life Coaching Holbeach. Life Coaching Mansfield. Life Coaching Beeston. Life Coaching Stableford. Life Coaching West Bridgford. Life Coaching Carlton. Life Coaching Sutton in Ashfield. Life Coaching Worksop. Life Coaching Arnold. Life Coaching Newark. Life Coaching Kirby in Ashfield. Life Coaching Retford. Life Coaching Mansfield Woodhouse. Life Coaching Bingham. Life Coaching Radcliffe on Trent. Life Coaching Southwell. Life Coaching Ruddington.